As you probably already know Motorola announced its first Android device the Motorola Cliq as its headed to T-Mobile USA. 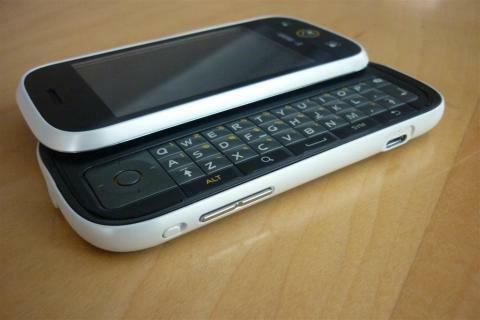 The Cliq packs a 3.1-inch touchscreen display and a full QWERTY slide-out keyboard. 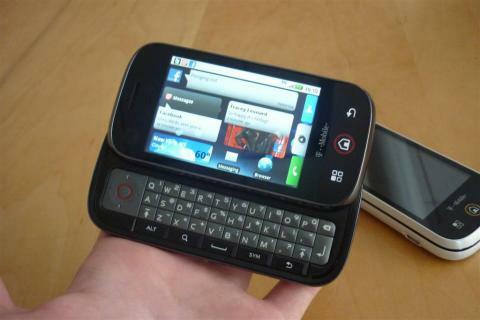 Motorola has also included in this Android device its own interface called MotoBlur. As we all wait drooling over this device patiently a hands-on review will have to do. The guys over at ZDNET have pieced together a nice review with the “goods” and “bads” of the Cliq. 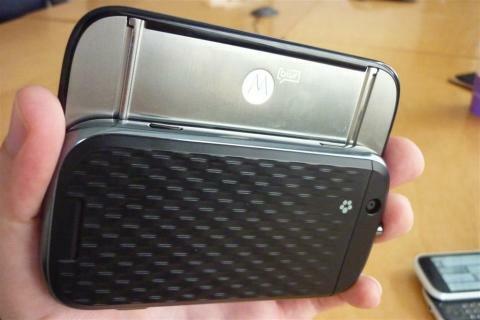 ZDNET believes this is defintely Motorola’s savior device. Check it out! More Cliq pics after the break! Feel free to express your thoughts in the comments. *drools**** this will hold me over until Snapdragon. I like the phone but I need to play with the phone i but it, plus its motorola????????? I’m already tired of seeing it. I want it now. Its worth a 14 day trial period. No one is talking about how terrible the camera performs because it has no camera flash! In the eyes of many, this makes the phone fail. so now that my sidekick lx has problems. i REALLY need this phone asap. gosh friggin november release date. something i’ve wondered about the cliq is will you be able to filter which tweeps you follow so that you’re only seeing the ones you want. for power twitter users, like myself, who manage several accounts and 1,000’s of followers, i definitely do NOT want all of their tweets bombarding me…that’s the reason i use a twitter desktop client…to organize and filter the tweets i see. any idea if that’s possible on the cliq? It’s a phone, not a camera. My G1 did not have a flash and it was fine for what I used it for. Wow, the ZDnet article is praising all the things that attracted me to the Cliq in the first place. The more I read about this phone, the more I want it. Ok… its the little things in life cause I think that’s f’n cool (the glowing logo). Not that I’m making a decision based on that, just saying I thought it was cool. And while I would not decide on a phone based on its camera, I’m a G1 owner and I do have to admit that the camera is absolutely the worst of any phone I’ve ever had, flash or no flash. Dose the camera have auto focus? as to be able to use the Bar code Apps out there? The ridiculously antique 528MHz qualcomm processor almost kills this one for me. It’s not much of an “upgrade” from the G1 which I have now. Only feature that could redeem the Cliq from all the passes it’ll get from G1 owners is UMA. If it has UMA, I’ll be the first in line. Is he serious? A small 3.1″ screen with a crappy slow processor is far from a power users dream. Although, the HTC Leo with 4.3″ screen, Snapdragon or Tegra with Android on it would be a power users fantasy phone at this point in time :D.
hey maddy, i hear what you’re saying, but EVERY major hands on review (zdnet, cnet, etc) have said nothing but how “snappy” it is. I don’t know how it is so snappy with such a weak processor…but not a single review i’ve seen has said anything but how responsive and quick it is. This phone is HOT. 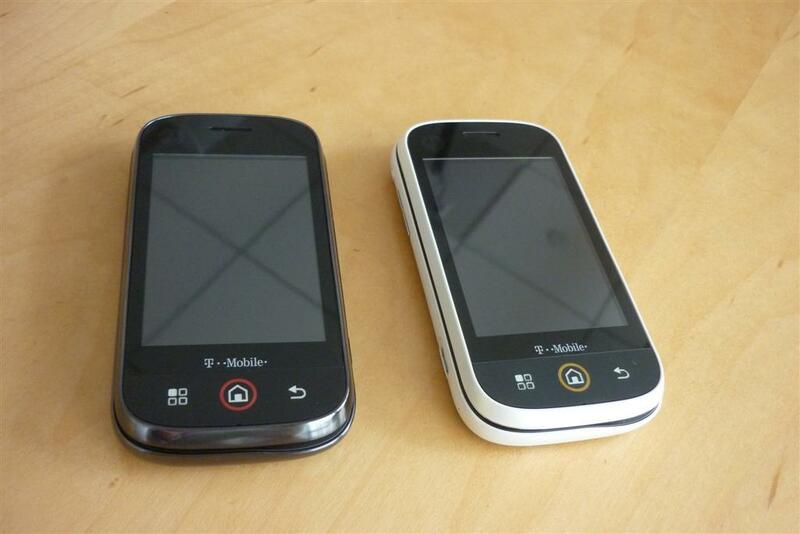 I might just have to sign a contract with T-Mobile again to get myself one (through wirefly or letstalk). It is taking Tmo too long to get it to market. I am sure that a new phone will be announced by another carrier that will peak my interest.. Thankfully, I am not on contract right now.. I dont want much, just next gen tech. This will fail in the eyes of “MANY” because it does not have a flash? Phooey on posting unfounded nonsense based on one’s tastes and preferences. The fact is, few people want or use a camera flash. That’s why no one is discussing it. What, do you think all the carriers are incompetent when designing handsets? Or perhaps all the companies are so desperate to cut costs that they are leaving out the flash? Answer why the manufacturers are leaving a camera flash off the phones. Camera flash discussion has finally found reality: No one cares about it. It has never worked well and probably never can, unless they put on two to four LED flash units. (I think the Nokia N900 5 MP camera will have dual LEDs). Flash on a camera is something the media cooked up, to point it out in a review. Lemmings and the gullible then accepted that this was some kind of an issue, when in fact “MANY” (as you describe) could give a rip that a phone has a flash or not. In other words, the public has wised up. Since no one cares, the media is finally getting it and have stopped discussing camera flash. But the pretenders are still around, making unfounded proclamations that “MANY” won’t buy the phone because it lacks a camera flash. Now if you are saying that the camera fails for you, because it lacks a flash, well… other than being silly for basing a phone purchase on the inclusion of a flash, or not, guess that’s OK, but that’s just you. The rest of us realized long ago that phone cameras are secondary or “back up” devices, a convenience rather than a replacement for a dedicated digital camera. You think it would be that difficult to include a flash? The reason fewer and fewer manufacturers are including a camera flash is because people don’t look at that as a “main” or must-have feature, so might as well save the manufacturing expense. It’s either that or HTC, RIM, Nokia and Motorola must be dumb and you are the only smart one. Why don’t you contact all the manufacturers and tell them that you have the secret to their success, put a flash on their phones. Speaking of personal preferences, I think if a handset is going to be what I call “Apple white” (wasn’t it Apple that brought back white as a color for electronics, with the iPod? ), well I think it should be all white, not white and some other color. 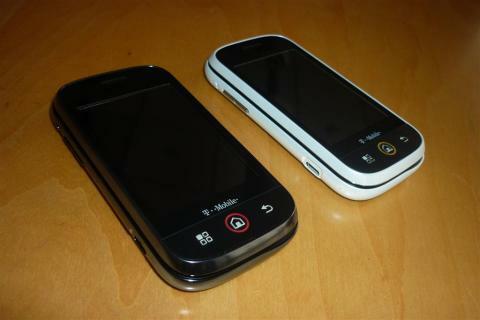 I like the titanium CLIQ, but that white and black model, I dunno about that. It kind of looks retro 70s; however, it does not look right, to me. Maybe it looks better in the hand? And while I like the concept of emphasizing the home button (since the Motoblur home page is a main feature of the interface, and phone) like others, I dunno about that ring around the home key. If they wanted to make it a cool feature, they should make that ring brightly glow in user selected colors, such as red, green, blue, pink, and other colors. Maybe the phone does that? I think if people could choose the color of the LED ring and if it could change colors depending on events a user could choose to be notified of, that would attract buyers. four-LED glow on part of the front panel. And I could do that on my Pearl 8100’s trackball. It’s a cool thing to be able to do. Does anyone NOT like the black and white color scheme? Just curious. And anyone know about the ring around the house? Does it change colors, does it light up? If it does, people love glowing lights, Motorola and T-Mo should have some ads of the ring in the dark brightly glowing. Companies will be abandoning true trackballs and instead go to the sensor pads that give a trackball effect. An engineer at T-Mo told me that trackballs are too finicky and they had lots of warranty claims on them. I can confirm that from all the discussion I saw on the Blackberry Pearl and Curve forums where people complained about a trackball not working (usually it was because the trackball rollers became dirty, the debris preventing efficient or correct operation. The fix was either to clean or replace the trackball. (On like on the G1, make a black trackball so users don’t have to see how filthy his or her trackball is becoming. LOL). While replacing a $2 trackball is a breeze (I have about five spare trackballs and have replaced friends malfunctioning ones with a one of mine, all in a period of about two minutes, if that) most users if within the T-Mo warranty period would have to send in the phone for replacement or repair, an expensive process to replace a $2 trackball. 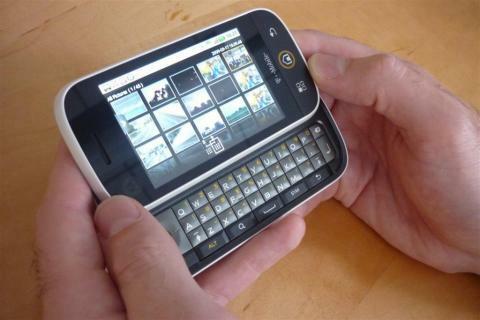 So I expect to see RIM’s trackball (from the old Pearl days) to be abandoned at some point.